It's time for the June Kitchen Roundup and so today I am featuring a couple of products I have been sent to review on the blog in the last few weeks. Heck, the fast growing food company from Yorkshire are well known for their meat products as a friend of mine exclaimed when I told her we would be receiving some meat-alternatives, but it is not so well known that they have now launched their new range of vegetarian sausages, burgers and balls with super-food vegetables as the stars of the show. Hecks Super Green Balls, Nuts about Cheese Sausages and Gourmet Goat's Cheese Burgers are veg society approved and don't contain faux meat or Soy. The range is purely made up of vegetables and the Super Green Balls are Vegan too! We sampled all three products. Our favourite were the Super Green balls with Quinoa, spinach. kale and ginger. They cooked really easily in the oven and were so delicious. The Goats Cheese Burgers with Quinoa, goat’s cheese and caramelized onion were also really tasty. The Nuts About Cheese Sausages with Cashews, two cheeses, flax and chia seeds, plus a dash of chilli were probably our least favourite as they didn't cook so easily, but they were still a fantastic vegetarian sausage. The Heck range makes a fantastic alternative to soya meat-free varieties and I would recommend sampling the products, especially if you are planning a BBQ this summer! The range is now on sale at Waitrose and online. 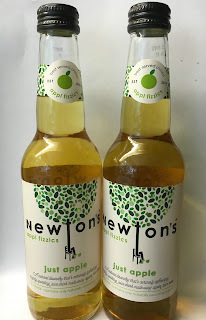 If the great British Summer ever gets started, these new Appl Fizzics from Newtons will make a great non-alcohol alternative to enjoying a nice cold glass of beer or cider in the garden. A refreshing blend of Apple juice and lightly sparkling water, this new apple drink contains 40^% less sugar than Apple Juice. It is also completely natural, so there are no artificial preservatives, colours, flavours or sweeteners; and no added sugar. These drinks went down really smoothly in a tall glass with some ice and were not too fizzy. I don't like drinks with too strong a flavour, but these were so light and delicious. With an RRP of £1.59 for 330ml or £3.49 for 750ml, Newton’s appl fizzics is available from Amazon.co.uk, Harrods, and a growing number of independent grocers, farm shops, delis and quality pubs bars and restaurants nationwide. 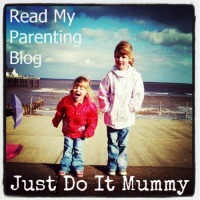 Have used Heck food products and they are quite good for me!